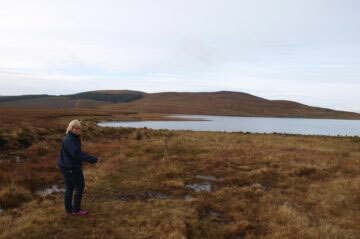 Ardvarney Country Lodge is our idea of living the dream, and we look forward to sharing it with you. We are originally from Rotterdam in the Netherlands, where we lived with our two wonderful daughters in a beautiful house. Four years ago, we were inspired to follow a new path, a new dream. That was the beginning of our new adventure together, which led us to buy and renovate a 200-year-old farmhouse in Ardvarney, Co. Leitrim. We knew that it was the perfect fit for our fresh start the moment we laid eyes on it. We were rebuilding our lives and, in doing so, we began rebuilding our beautiful new home and business; Ardvarney Country Lodge. Along with providing comfortable accommodation, we coordinate a variety of activity packages for our guests, and incorporate Ardvarney Holistic Caring – providing massages, Tera Mai Reiki healing, and individual lessons. Before long, we plan to expand the facilities to be able to accommodate more guests. 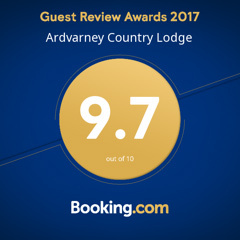 Whether you plan on exploring the beauty of the countryside or simply relaxing in the Lodge, we will be delighted to welcome you to Ardvarney Country Lodge, our little haven designed with you in mind. Come join us for the experience of a lifetime. See below for more information. With our Holistic Caring getaways. Learn and heal with Carin. See what the local area has to offer, and why your next getaway should be with us.